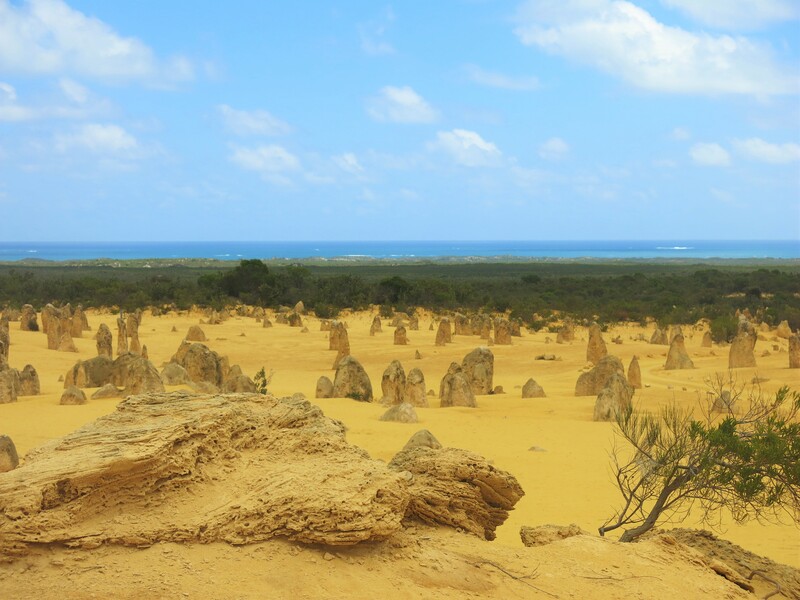 I was hesitant to visit the Pinnacles when I was last in Perth. My hesitance stemmed more from the fact that it is a 3 hour drive out of Perth city, a hard decision to make for someone who does not drive. Since I was travelling alone, my alternatives were either to join a tour group or ask around the hostel for any travel mates. Booking a tour would be pretty costly and I was not sure whether the visit was sufficient to justify the cost of a tour. 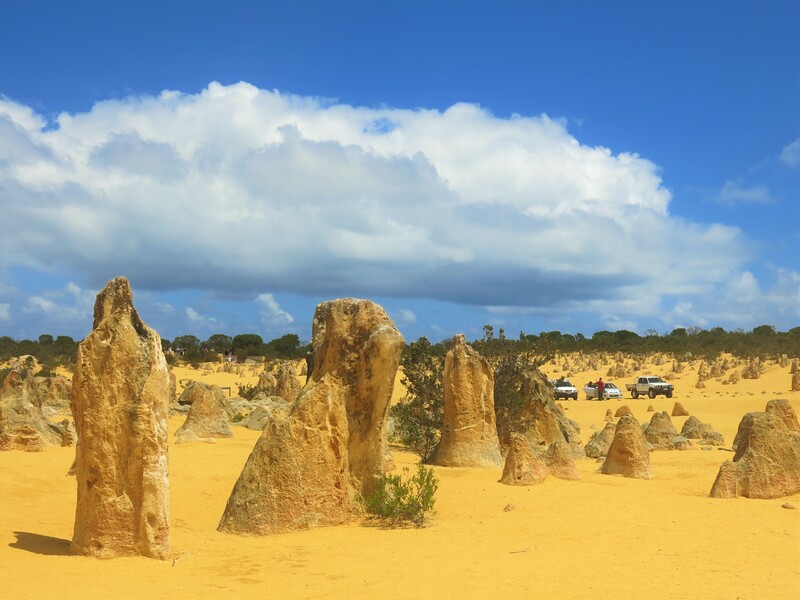 So visiting the Pinnacles was optional on my initial itinerary. Fortunately, my hostel roommates were planning on driving down and so, I grabbed an opportunity to check out the hype on this place. It’s a mine field for those with an interest in geography. Although we had no guide for the visit, there were information boards put up that was sufficient for us to get the background information. There were also signs put up among the rocks for us to navigate, either by car or by walking. It was quite amazing to see these rock formations sanded down from all the years past as you can see some parts where the rocks have been whittled down and others where the formation was not that defined yet. We had fun walking and taking photos among these rocks because it was unlikely to find similar ones and we went around looking for unique rocks to take note of. Be prepared that the area is smaller than perceived. Reading up online, I had assumed that it covered a vast area of land but in reality, the area that we were allowed to navigate through was much smaller than I had expected. Rocks lined a passage where we could drive through these rock formations. This afforded you the luxury of enjoying the rocks from inside the car if you do not wish to be out under the sun. However, this meant that you may also encounter cars in front of you slowly weaving their way through the rocks and it can hold up those behind you as well. 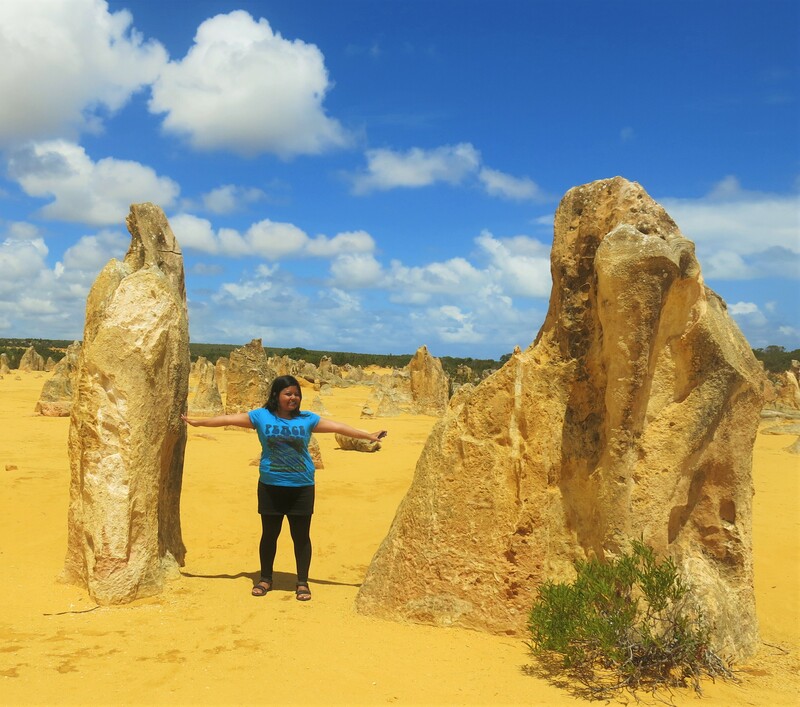 Honestly, I felt that I didn’t spend enough time at the Pinnacles to justify travelling that far out from Perth since I was there for less than a week. I ended up just taking photos for a while and then headed back out from there, especially when more and more visitors started arriving. I felt better knowing that I had planned to visit other places near there so it was not an entire waste of time and money to head out. Small rocks marked out a path for the vehicles to move through the area. It’s also possible to walk around on your own. 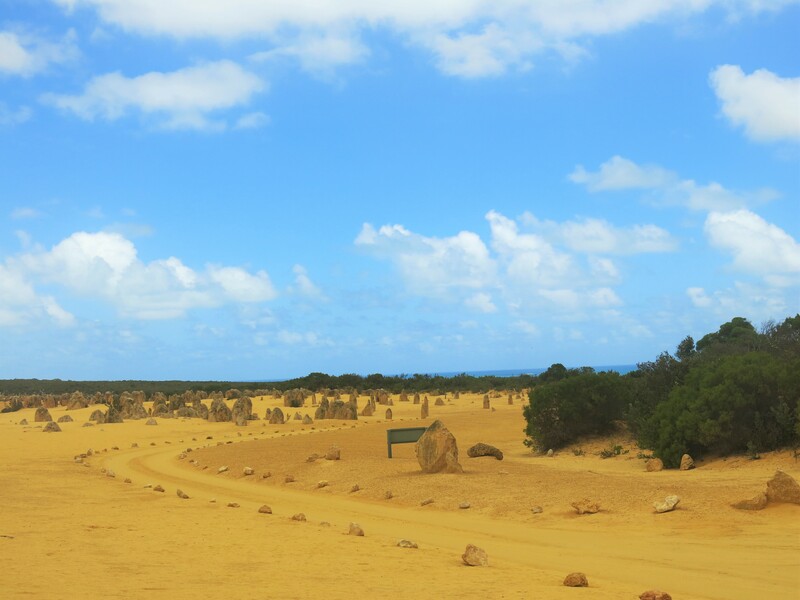 The Pinnacles are located in Cervantes, 250km by road away from Perth (about 2 – 3 hours of drive). There is an entry fee of A$12 for each car entry and you can either drive through the loop or walk through the rock formations. There is a visitor centre with washroom facilities but do note that there is no cafe so prepare your own food or drive on to other towns for food. I am surprised how small it is..I thought it would be lots bigger!! I appreciate your honest review Sha. They do look fascinating but by what I had read on other posts i assumed them to be larger. Thank you for the information. Sounds like you lucked out with regards to getting there. Very interesting rock formations – kind of reminds me of the ones in Yehliu, Taiwan. its beautiful and other worldly! Looks well worth a visit!